Ring, the company that originally just made smart video doorbells, continues to expand its line of connected security cameras with the “spotlight cam”, a more compact version of its Floodlight Cam that debuted at CES 2017 earlier this year. The home security camera market is growing exponentially these days, but usually the first thing that comes to mind with putting up a camera outside is: “Is there an outlet nearby?” The new Ring Spotlight Cam solves this problem since it comes in three varieties: wired, battery and solar-powered. The wired version is pretty obvious, it comes with a 20-foot cord and plug for installs with an outlet nearby, has a 270-degree horizontal field of view for motion detection, and this version is available for purchase today from Ring’s site for $199. The battery-powered and solar editions both come with a quick-release battery pack, although the solar version will obviously keep the battery charged. The battery version of the Spotlight Cam can accept two battery packs, so that the unit can auto-switch when one gets depleted (and it will send you an alert to pull it out and recharge it.) Extra battery packs are $29 and are designed to last up to six months on a full charge. Ring Spotlight Cam Battery and Solar are priced at $199 and $229 respectively, and are available to pre-order now…shipping this fall. The battery and solar versions of the Ring Spotlight Cam only have a 160-degree field of view for motion detection, but all three versions have a full 140-degree field of view for the camera. Also, while the wired version has fully customizable “motion zones” to avoid false alerts, the battery and solar editions have “adjustable motion sensors” (according to Ring’s comparison chart). Spotlight Cam Solar connects to its solar panel via a 13-foot micro-USB cord. All three variants of the Spotlight Cam have strips of diffused, motion-activated white LEDs on each side of the camera, which Ring says glow at 900 lumens, or roughly the brightness of a 70-watt incandescent light bulb. Other common features are 1080p HD, night vision, two-way audio and a 110-decibel siren. The Ring Spotlight Cam comes in both black and white finishes, and are compatible with iOS, Android, Mac and Windows 10. Ring offers plans for recording video the Cloud starting at $3 per month if you wish to have archives of footage where motion was detected. Otherwise you can always just use the live view feature to keep tabs on your property on-demand. While we haven’t tested it yet here at the Smarter Home Life “Tiny Smart Home”, we think that smart battery and solar-powered security cameras are great new options for home security. And for only another $30, the solar option is certainly the way to go for “install it and forget it” convenience. 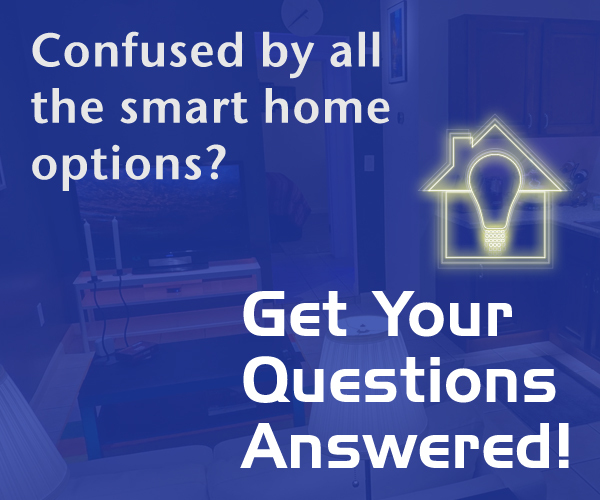 Aug 2 Q&A: Home Automation - June 2017 - Mesh Networking and more!